Xero Accounting Software is one of the best software to manage your business. 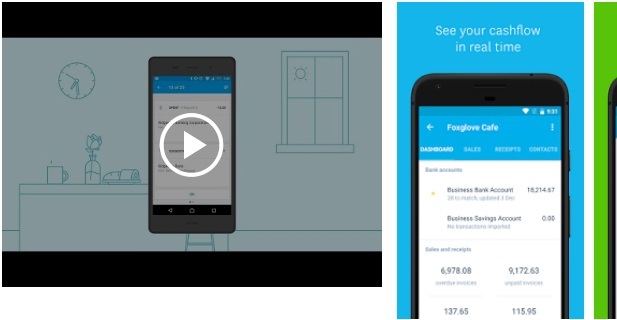 It helps to keep all the tracks while you’re on the go with Xero for your Android smartphone. It helps to keep all the invoices, quotes, create expense claims and record receipts with this ease. It is a beautiful online accounting software designed for small business and keeps all the required details. It is very simple and easy to use the app. • You can see all your bank accounts, PayPal balances, outstanding invoices, credit card and expense claims, reports and contacts. • On the spot invoicing and billing. • Expense reports done in a flash. • Simply upload photographed receipts. • Work from anywhere. Call customers and suppliers directly from the app for any queries. • Easily track accounts, invoices, and expenses. Get connected and get started. Make your life easy and stress-free.